Magic Archer is the new Legendary Troop Card which can be unlocked from Arena 11: Electro Valley (3400+). He isn’t released yet but you can unlock him this weekend from the Magic Archer Draft Challenge. Magic Archer is a fragile-medium HP troop with low damage (490 HP and 97 DMG per sec i.e. 97 DPS at Tournament Standards). The thing that makes this guy worth being a legendary card is his Magical Arrow. With range 7 tiles and projectile range 11 tiles he technically has the highest damage range of all troops. This breaks Princess’s long maintained record of almost 2 years of being the troop with highest range. However, Princess still holds the record for highest attacking range while Magic Archer has highest range damage. Magic Archer has two different range stats with Range as 7 tiles and Projectile Range 11 tiles. In simple terms, Magic Archer will directly hit troops within 7 tiles, but due to his Special arrow that can pass through anything, he can indirectly damage troops up to 11 tiles! Using this staggering range, he can be a great crowd controller and even a great defender as well strong offensive support behind a tank. 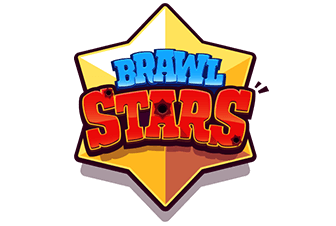 His projectile range is that of an X-bow, which means he can hit enemy towers from your side of the map, provided there is an enemy troop (or a building) within 7 tiles and falls in line with tower. Magic Archer’s role can be closely described to that of Flying Machine in deck because of similar Cost-to-HP ratio and similar range. Magic Archer has great synergies with tanks like Giant and Golem due to his DPS and super long attack range. He can deal devastating amount of damage within no time and giving no chance for the opponent to take him out. His quick speed works in harmony with their fast speed. Is there any splash troop which doesn’t work with the good ol’ Tornado? I guess not. Very powerful with Tornado as you can pull troops near the Crown Tower and attack all of them and the tower together. In 3 seconds, he deals 288 damage which is pretty decent. Fireball is the best counter to MA right now. Poison is pretty good as well but gives MA the chance to attack. Cheap Spells are not good enough to kill MA but do the work good enough for low elixir-low damage kinda trades. Rocket and Lightning are not recommended as its -2 elixir trade but with another troop/building or Double Elixir time is good. 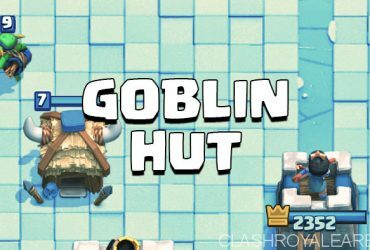 Mini-Tanks like Knight, Valkyrie, Ice Golem are good counters to Magic Archer provided you get the Timing and Placement right. As soon as the MA comes within tower range, drop your Mini-tank on top/besides him so that he has to target your mini-tank at an angle rather than hitting the mini-tank along with your Crown Tower. Too soon or too late or wrong placement will result it you getting 4-5 shots from the magic arrow. Swarms like these are good counter to MA as even though he is a Splash damager, he is AoE is a straight line and not a circle. So, if you surround him, you can counter him pretty well, especially since his damage is not that high. You can even counter him with Skeletons or Bats for just 1-2 elixir! Ranged troops with Medium Damage and decent HP are good counters to him as due to MA’s low damage and low HP he won’t survive much hits. Best ranged troops would be Musketeer, eWiz and even Archers! Ice Wizard is another great option but since he has low damage, it would be better if you could like place him right when he enters your tower range so that iWiz slows down MA and the tower takes care of him. Pick a Win Condition: This is very simply! Picking a win condition is the most important thing when drafting, because it’s what allows you to take down your opponent’s towers. Because Flying Machine will be around in every match, you’ll have to pick your win condition carefully. 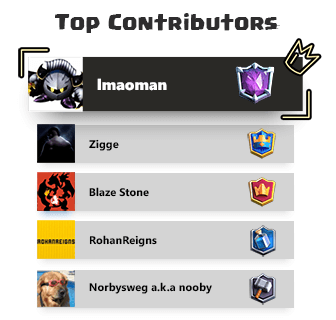 All tanks work great with the Flying Machine, so if you already have picked the Flying Machine, something like a Lava Hound would be much better than a Hog Rider. These are the best win conditions in this challenge are Giant, Lava Hound and Golem if you have Flying Machine because they have great synergy together. Pick card that counter the other: Another straight-forward tip! For example, If you have the Minion Horde & Arrows Draft, go for Arrows. Pay attention to what you are giving away: A bit more advanced tip! Sometimes, the better choice is about making your opponent’s deck worse, not making your deck better. For example, If you get the choice between Spear Goblins and Rage, go with Spear Goblins. Spear Goblins can’t make your deck better but Rage is definitely one of the worst cards in Draft Challenge. 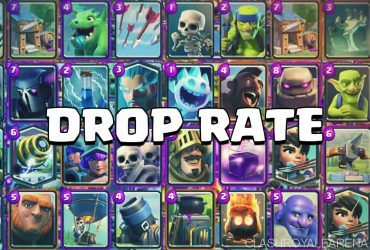 In the normal meta games, people can easily counter Witch with meta cards such as Bowler, Executioner, Knight, Lightning, Baby Dragon etc. However, in Draft Challenges, having those cards is not guaranteed. 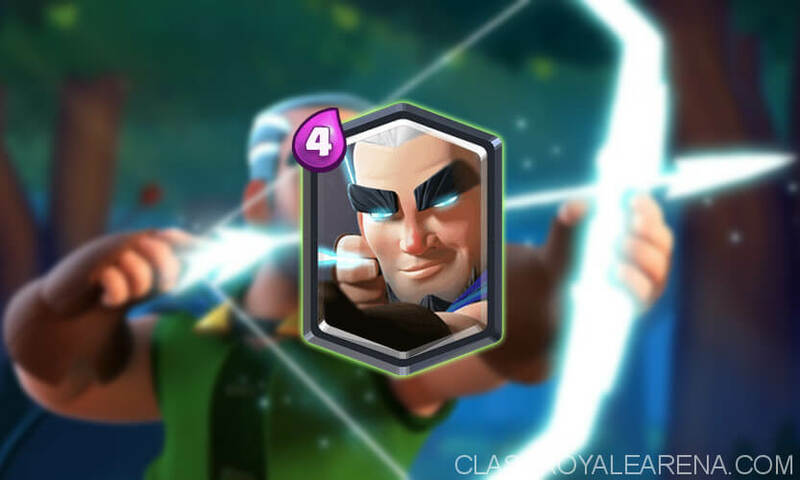 If you have Sparky in your hand while the opponent doesn’t have any Zap effect or swarm card, he will find it extremely hard to deal with the Sparky. This is even worse If you have a good Sparky combo such as Giant Sparky. Always pick one of these: Rocket, Lightning, Fireball and Poison. In case you don’t have any win condition, or your win condition gets countered, you still have something to deal damage. Last but not least, getting positive Elixir trade with spells is not hard! Although Musketeer can solo kill Baby Dragon, pick Baby Dragon because it is a hard counter to your Graveyard. Also, If you are lucky, you can combo it with Tornado later on. Let’s share your results below! Just a serious guy who wants to be a pro at Clash Royale. People know me as The Controll Freak. I write guides to give the best tips to you readers. Enjoy!